The new Specialzied Evade II helmet came out this past week, and after hearing about all of the improvements made, and how awesome it was supposed to be, I ordered myself one. It's supposed to feel cooler wearing it than if you weren't... How could you not want that?! The helmet came in just in time to test it out in crazy warm weather for February. The forecast was calling for temps in the 70s, clear & sunny skies, and WIND. I tried to make my route work to my advantage so I wouldn't be dealing with too much headwind, but was also curious about how the helmet would feel in a strong headwind. Previous helmets that I have worn have had straps that flap when it gets even a little windy. From what I had been told about the new Evade, the strap flap was supposed to be gone. And it was also claimed that the helmet was quieter than its predecessor. I never owned the first version of the Evade, but I do have an older version of the Prevail (Specialized other top performance helmet). It's been a great helmet, and I've been pleased with it overall, but it's a few years old now.I felt like it was time to update. It never occurred to me that my Prevail helmet was loud. Until I put this new Evade on. The Evade II is so quiet, it was the first thing I would mention to everyone after my ride. Besides feeling the improved air flow, the decrease in noise from wind and air flow around the side straps is one of the main things I noticed. The straps are a thin, soft, and lightweight 4X Drylite webbing that won't stretch out with sweat or water. They sit a lot closer to your face, but I didn't even notice them. The placement is very well thought out. The venting/airflow of this helmet is incredible. As someone whose head easily gets too warm, proper airflow is important for me. 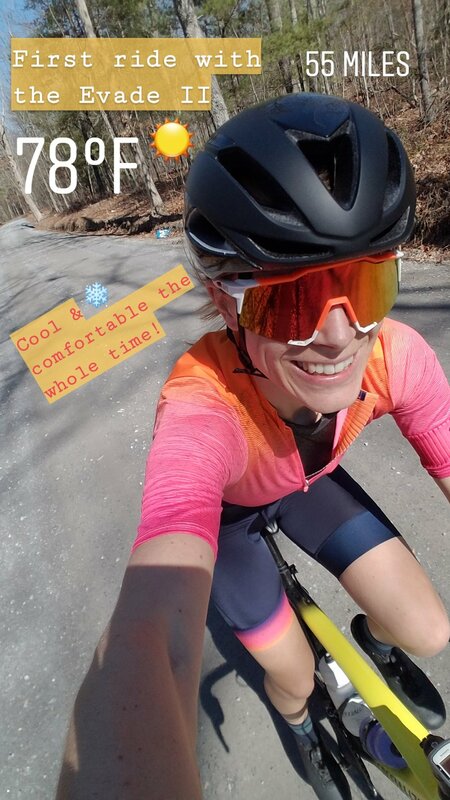 The Prevail does great for me - with it being very lightweight and full of air vents, I didn't experience my head getting too warm very often. But then I put on this new Evade, and knew right away that as great as my older helmet had been, this helmet was above and beyond in cooling abilities. The venting design has changed a bit with fewer vents on the newer model, but with the improved airflow, it's well assumed that those other vents are no longer necessary, improves the aerodynamics, as well as the overall look. Weighing in at 267g (this is what I personally weighed my size small at, it is said to be 268g by Specialized, so pretty darn close), it is 54g heavier than my Prevail, BUT 10g lighter than the previous Evade model. Specialized is able to keep the weight down, and have it be super safe for your noggin, by using their Patented Energy Optimized Multi-Density EPS construction, and their Patented Aramid-Reinforeced Skeleton internal EPS support. 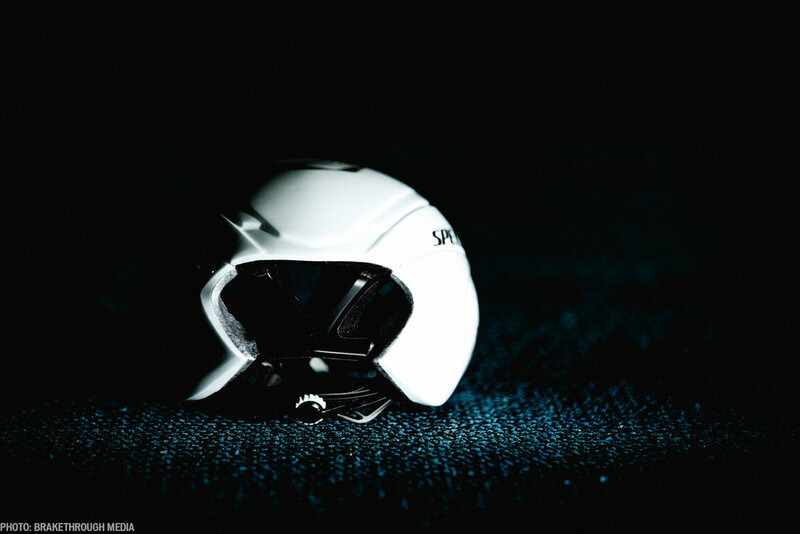 These materials help to manage impact energy, while also keeping the helmet lightweight and cool. I honestly thought that I might notice the weight difference between my older helmet and this one, and it was actually something I was worried about - I get tension headaches easily; can't even wear a helmet mounted headlight because it gives me a headache. Well, I didn't notice it, at all, as you have probably guessed. What I did notice though, was the fit of the new Evade. It is much improved. The Mindset Hairport II micro-adjust system is similar to the earlier model but anchored in different points. This makes the helmet more comfortable. I would feel certain pressure points on my scalp after a few hours of riding in my Prevail - this wasn't the case with the Evade II. Specialized says that the Evade II will save 50 seconds over 40 kilometers. That's pretty significant! I remember when I was racing triathlons I didn't have much money to invest in gear, but I was able to invest in a triathlon specific aero helmet, and it definitely made a difference in my bike time. 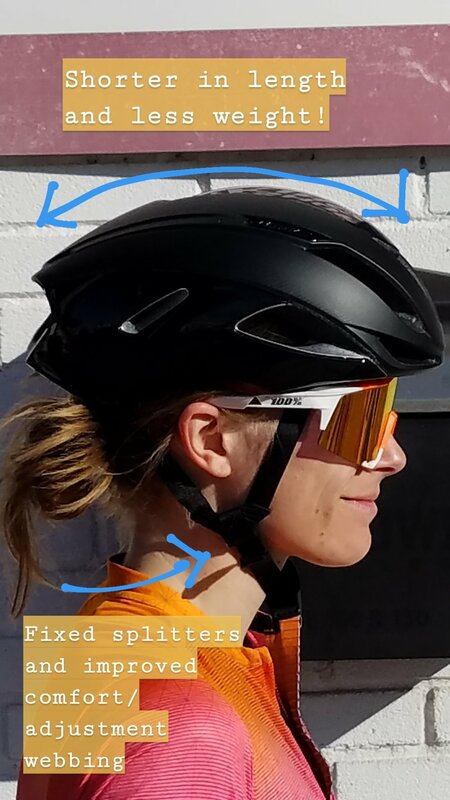 Fast forward to now, and with the Evade you get to have a normal bike helmet that still gives you aero benefits, cools your head off, is comfortable, and looks good! It's pretty great when your gear can help you be faster. My favorite piece of this helmet is the magnetic buckle. It's a very nice feature, especially in the winter when you're wearing gloves and don't want to struggle with a traditional buckle. There are currently three colors available in the Evade - white, black, and hyper green/acid lava. The latter looks like it will be a limited run, so if you are keen on it, maybe grab one before it's too late. I picked the black color for myself because it made me think of the Alien movies, and those monsters are pretty bada**. My overall impression of the Specialized Evade II: I'm stoked on it, and very excited to use it this year! It was also one of my sources for writing this review. CyclingTips.com is an awesome bike info resource!